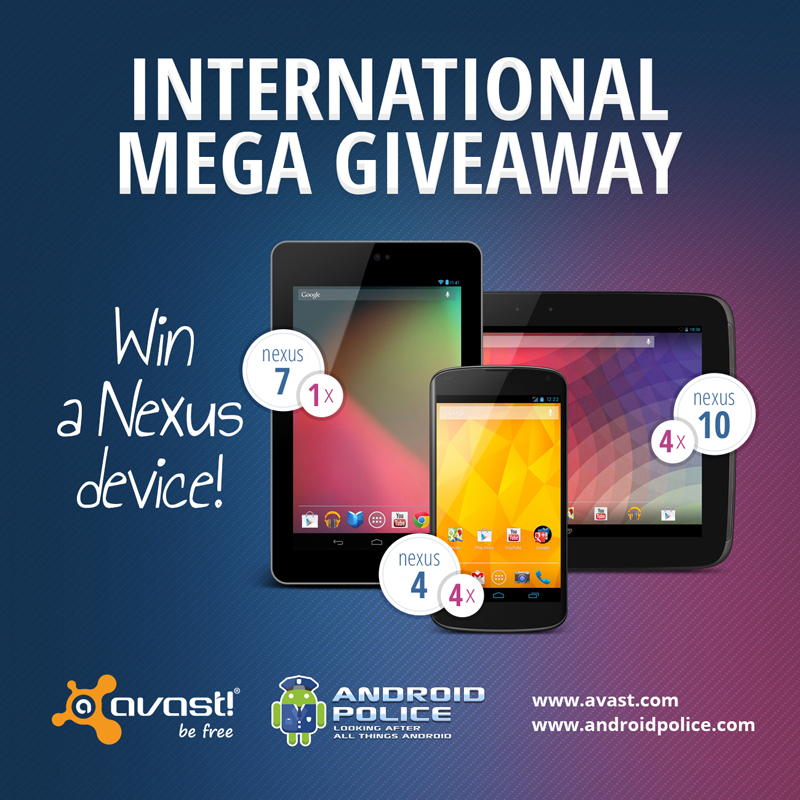 Win a Nexus device from AVAST and Android Police! What do you value most about your phone? The International Mega Giveaway will run for one week and end at midnight (PST) on August 31st. Visit Android Police now to enter! avast! Mobile Security and avast! Mobile Backup are FREE downloads in the Google Play store and can be used stand-alone as free versions or be upgraded to avast! Mobile Premium for access to all premium features. avast! Mobile Premium is available for $1.99 per month or $14.99 per year. Download and install on your Android device now. Thank you for using avast! Antivirus and recommending us to your friends and family. For all the latest news, fun, and contest information, please follow us on Facebook, Twitter, Google+ and Instagram.